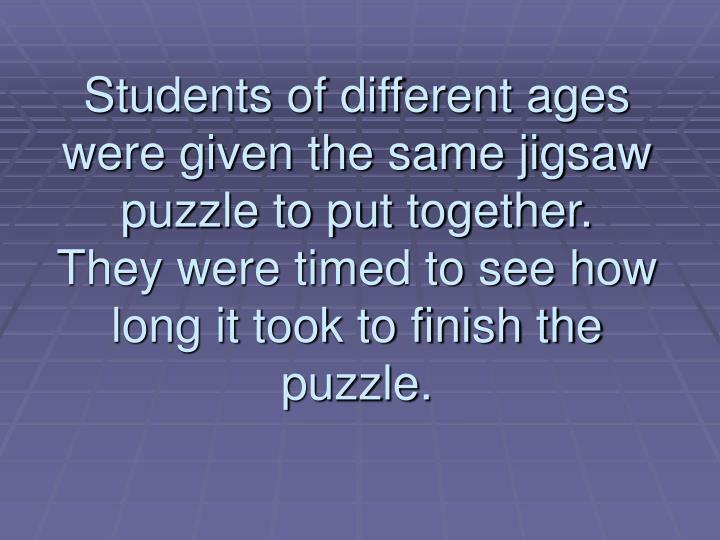 Students of different ages were given the same jigsaw puzzle to put together. 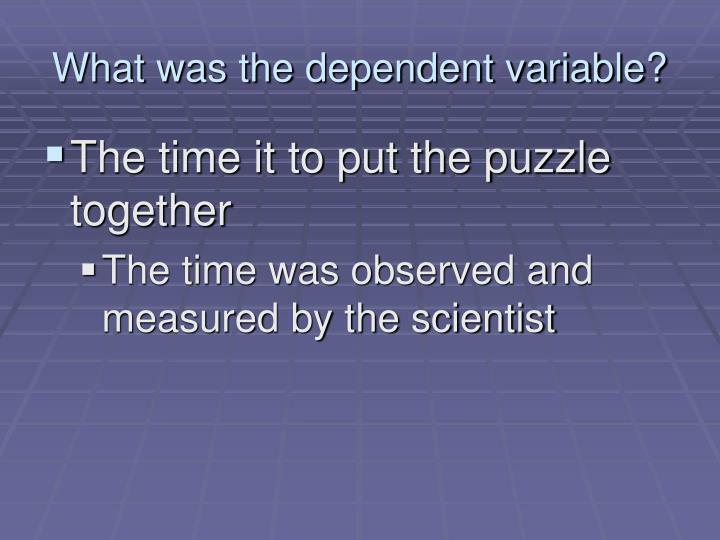 They were timed to see how long it took to finish the puzzle. 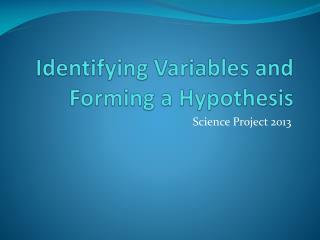 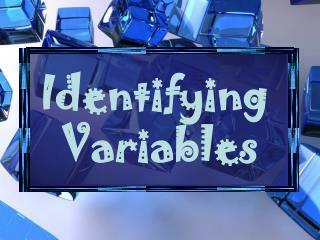 Identify the variables in this investigation. 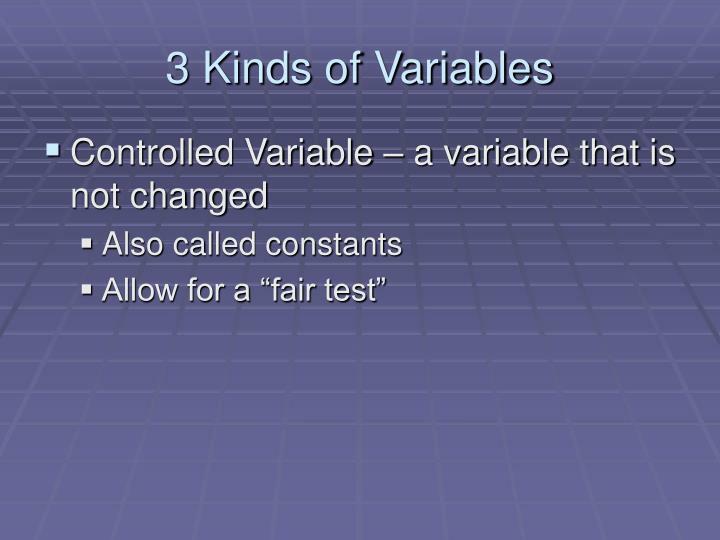 What was a controlled variable? 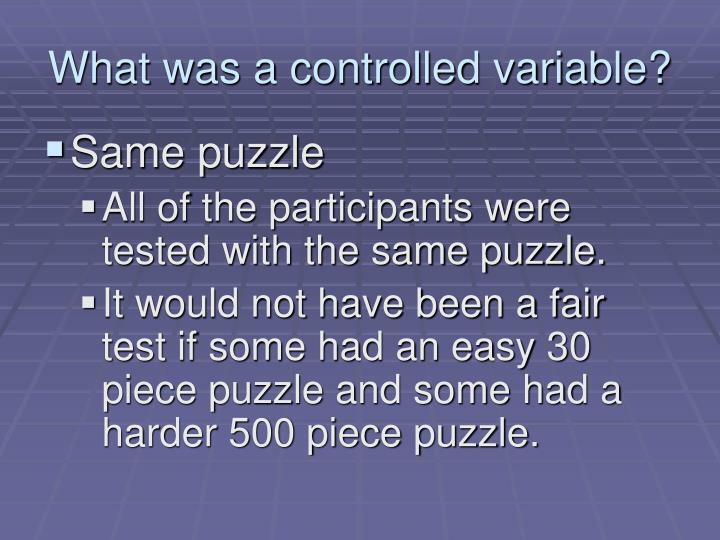 All of the participants were tested with the same puzzle. 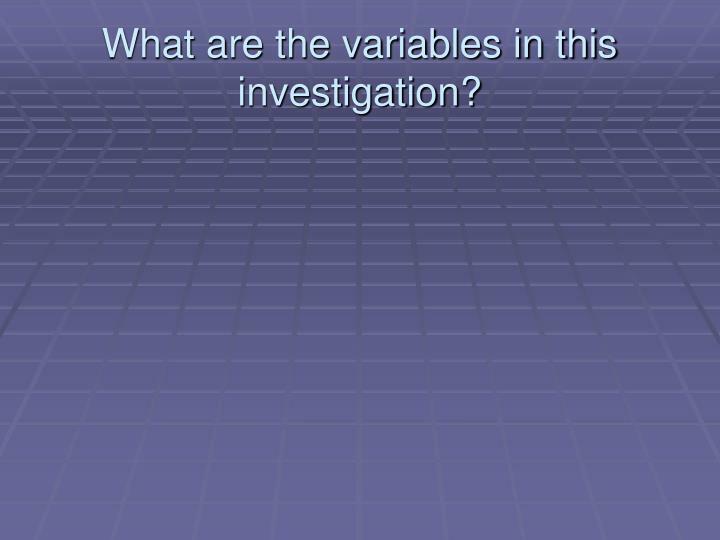 It would not have been a fair test if some had an easy 30 piece puzzle and some had a harder 500 piece puzzle. 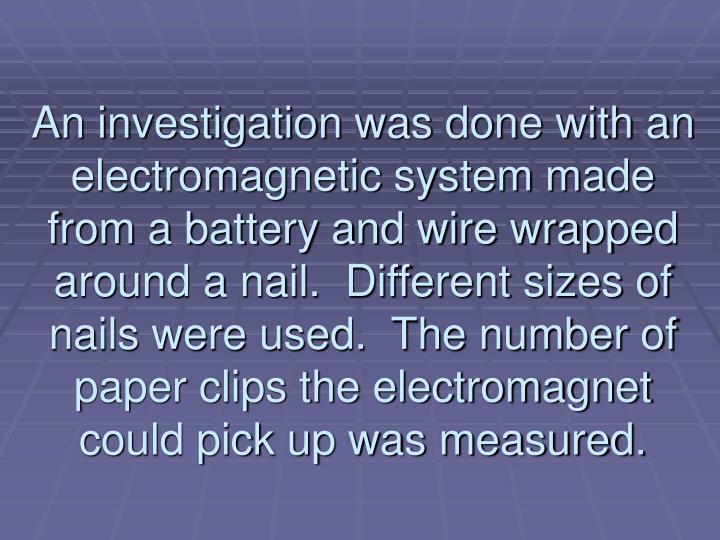 An investigation was done with an electromagnetic system made from a battery and wire wrapped around a nail. 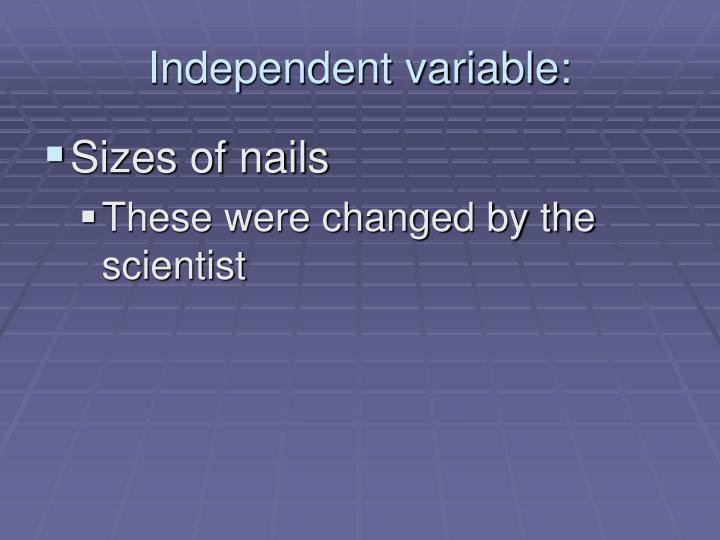 Different sizes of nails were used. 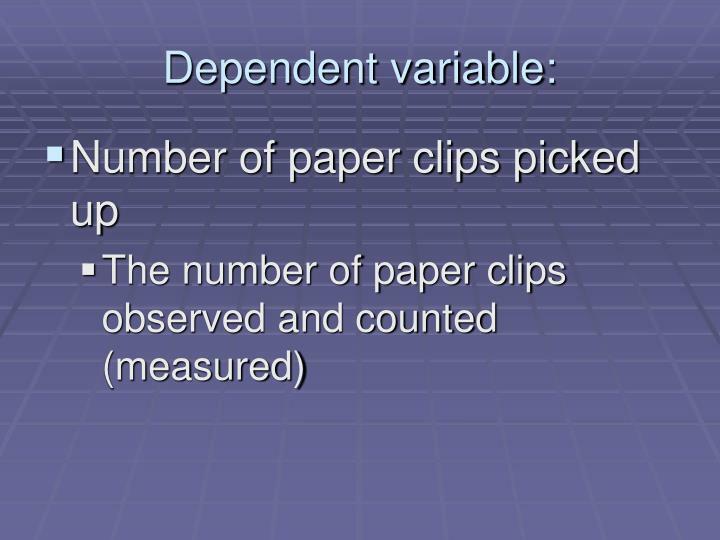 The number of paper clips the electromagnet could pick up was measured. 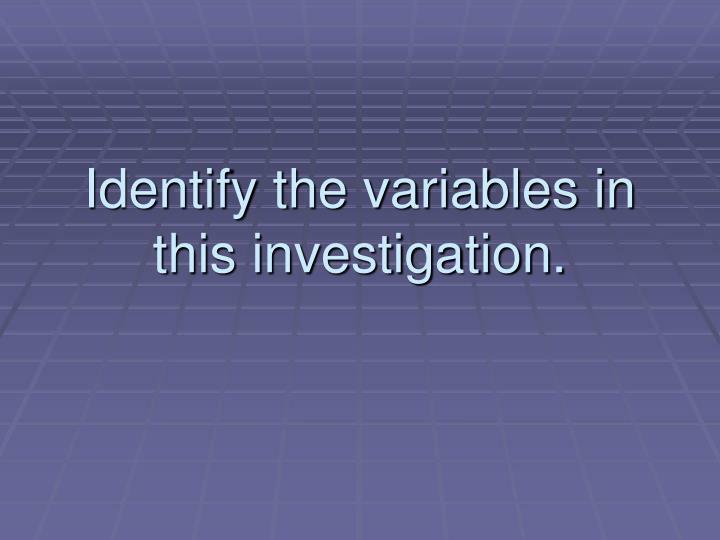 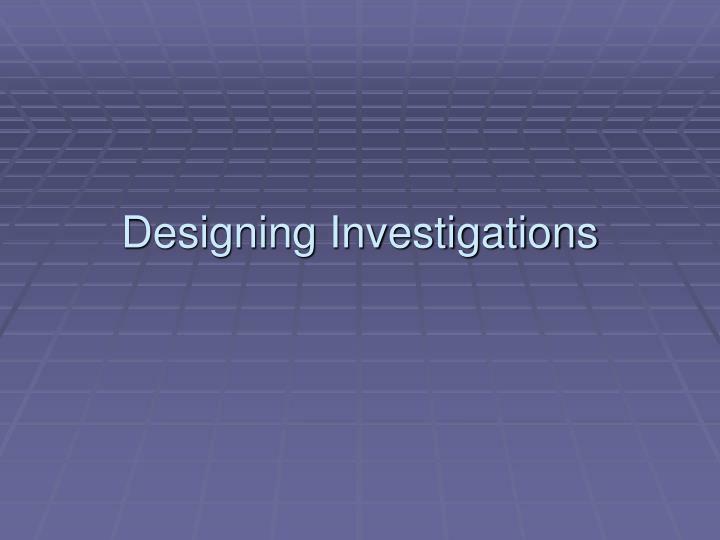 What are the variables in this investigation? 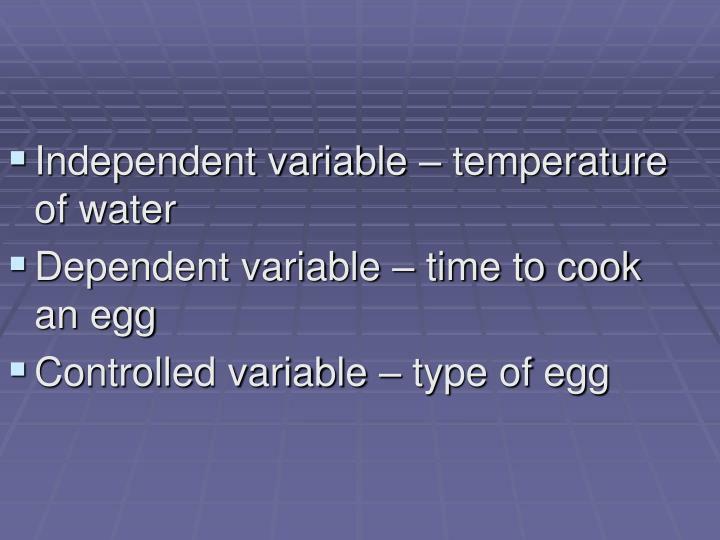 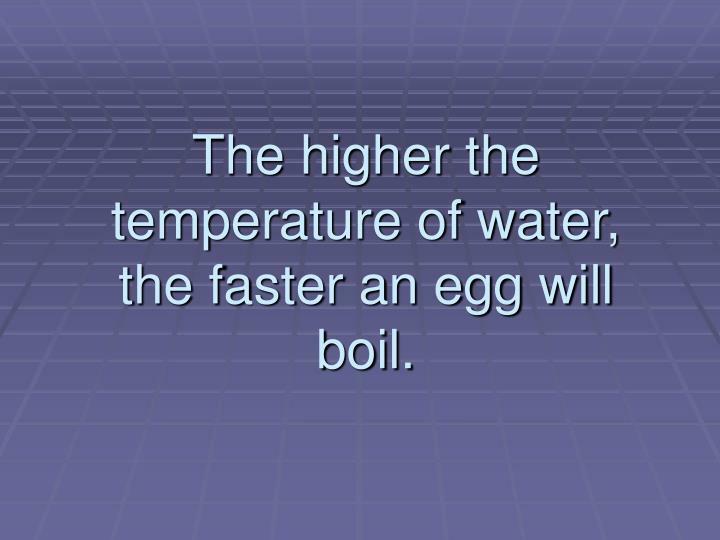 The higher the temperature of water, the faster an egg will boil. 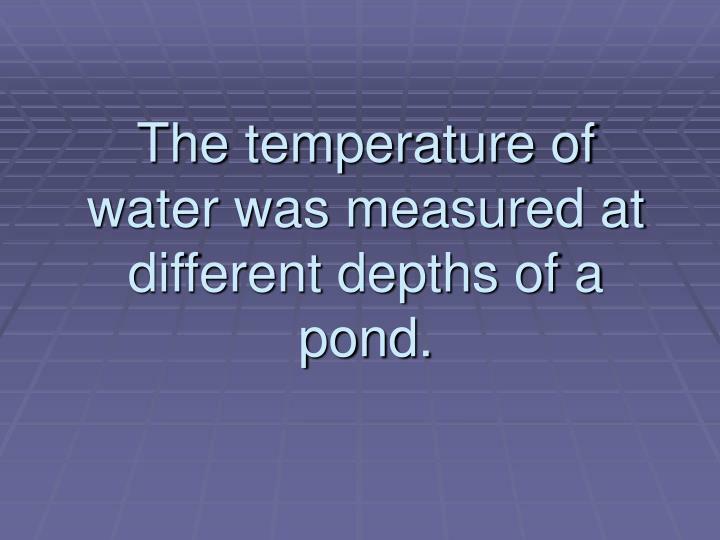 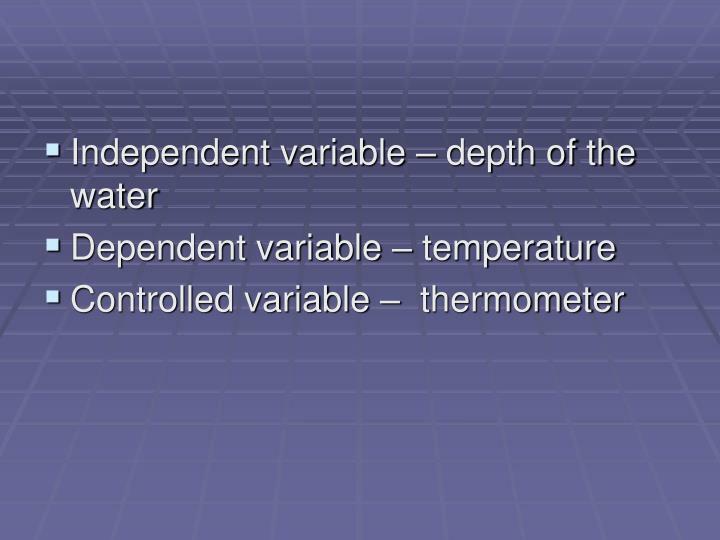 The temperature of water was measured at different depths of a pond. 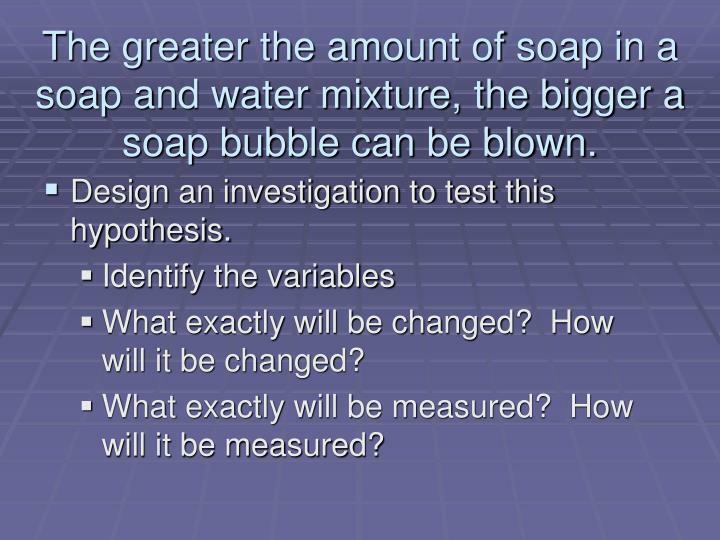 The greater the amount of soap in a soap and water mixture, the bigger a soap bubble can be blown. 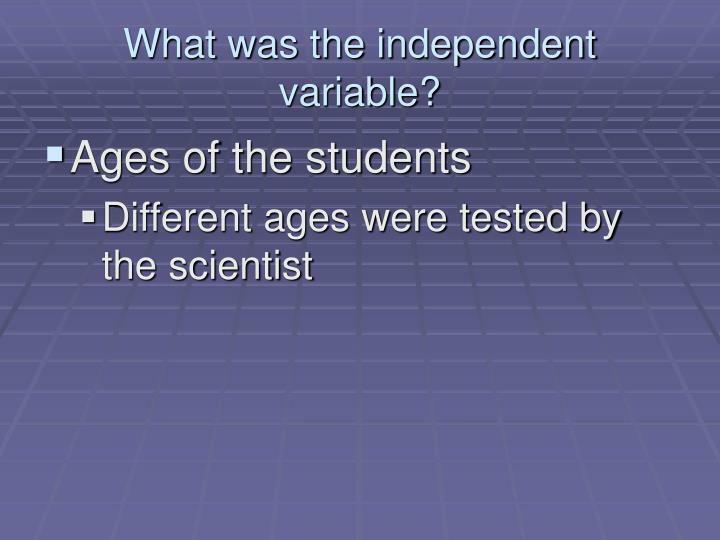 Design an investigation to test this hypothesis. 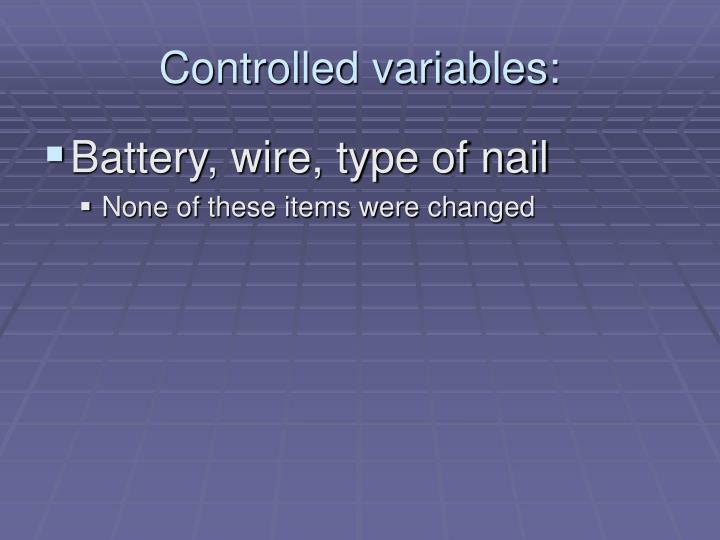 What exactly will be changed? 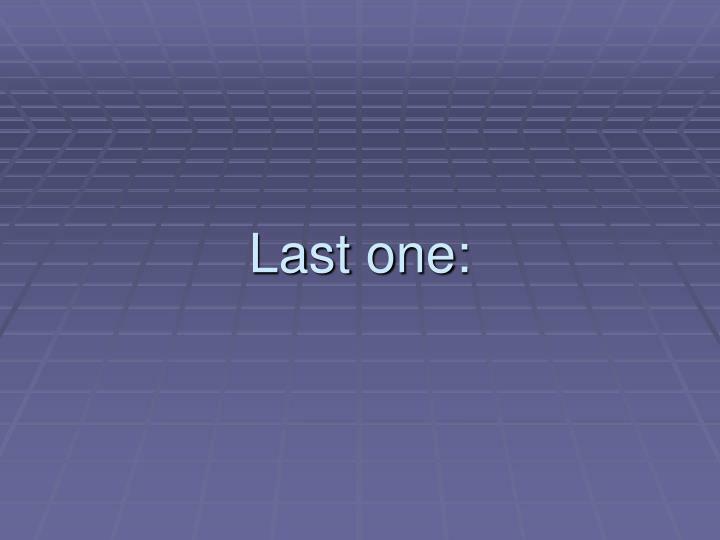 How will it be changed? 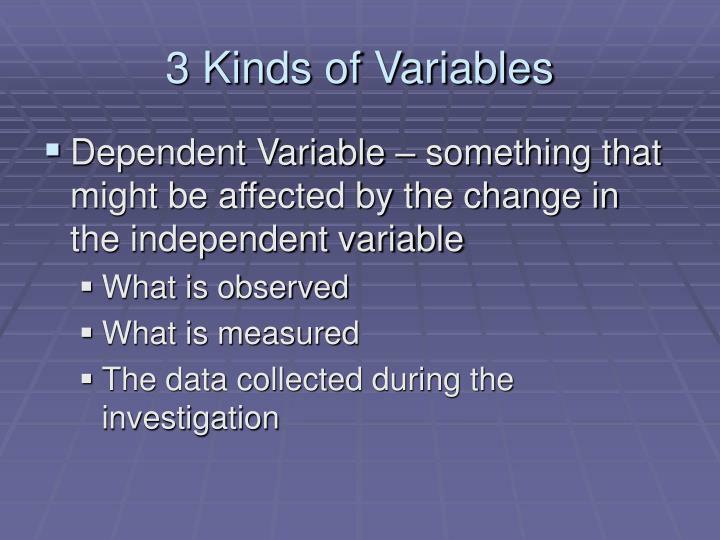 What exactly will be measured? 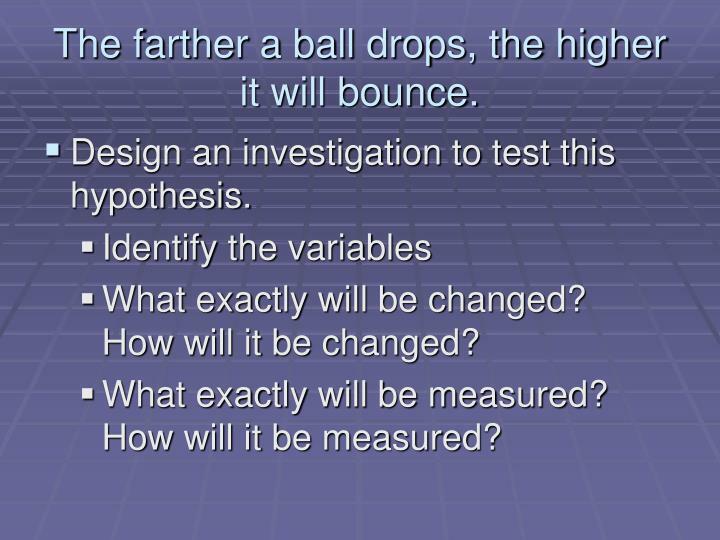 How will it be measured? 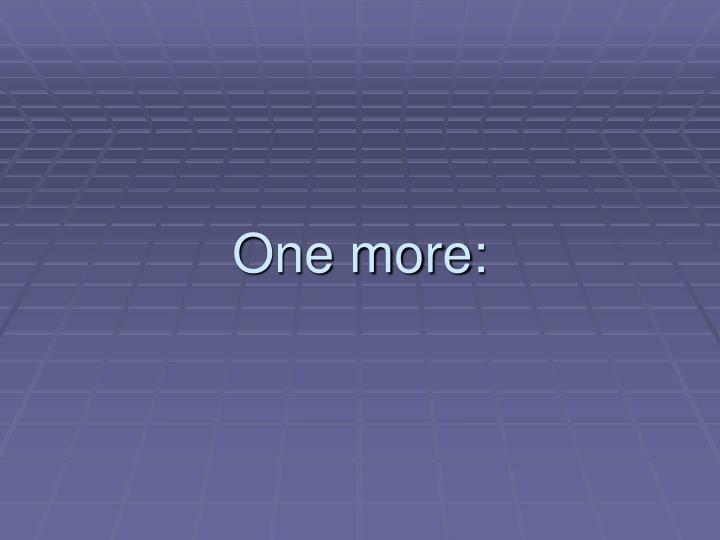 The farther a ball drops, the higher it will bounce. 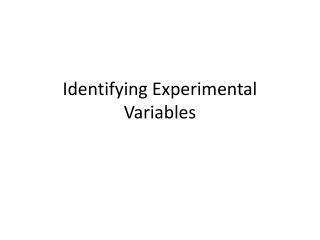 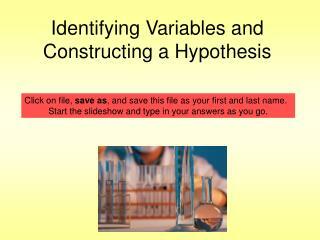 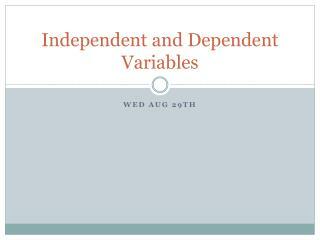 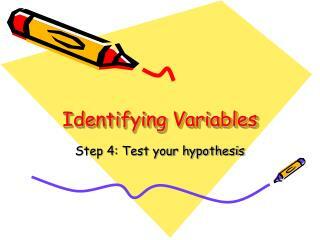 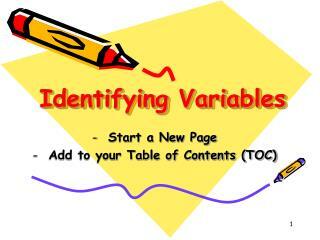 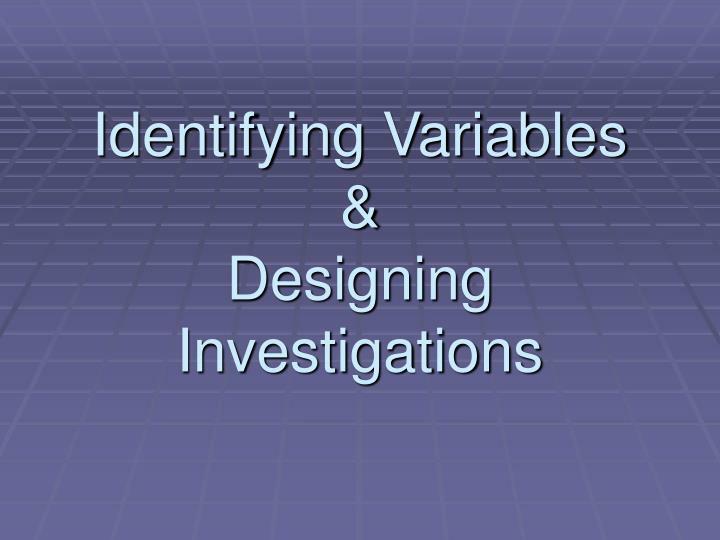 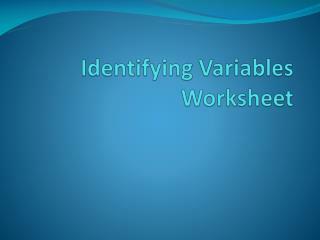 Identifying Variables -Identifying variables. 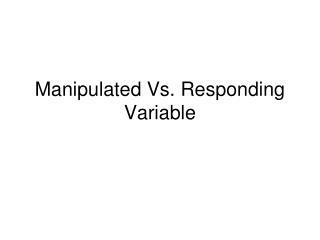 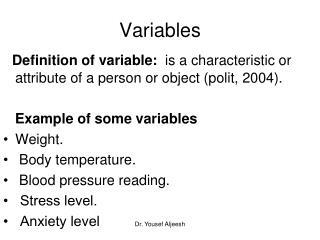 a variable is something that can change in a situation. 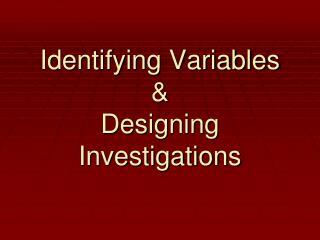 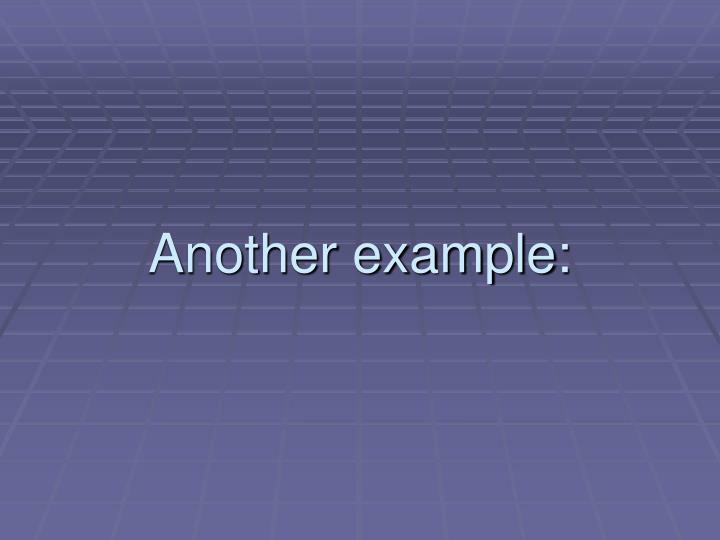 what are the variables in the following statements?. 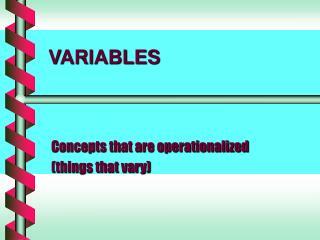 the time it takes to run a kilometer depends on the amount of exercise a person gets. 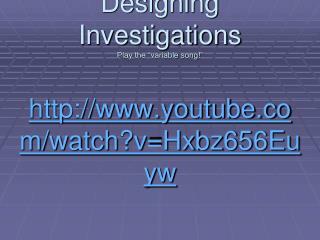 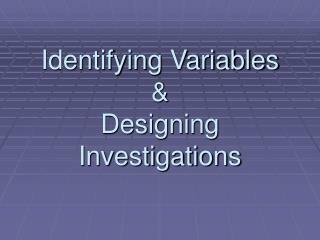 3 Kinds of Variables -Identifying variables &amp; designing investigations play the “variable song!” http://www.youtube.com/watch?v=hxbz656euyw. 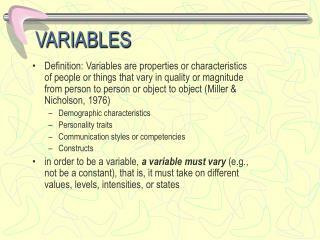 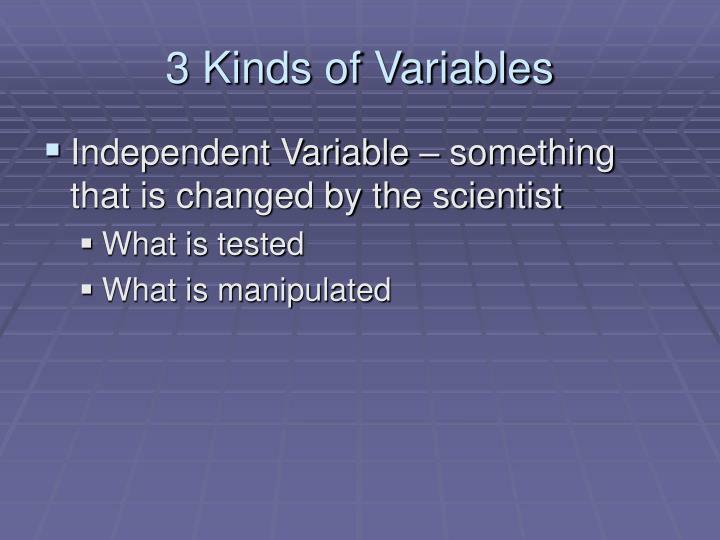 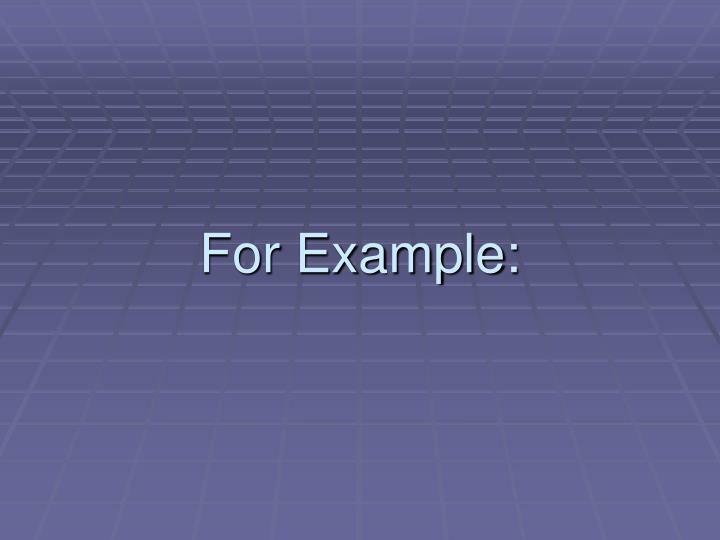 3 kinds of variables. 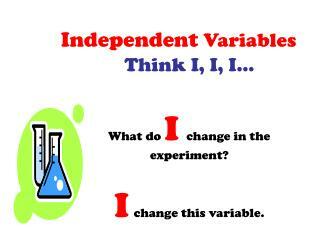 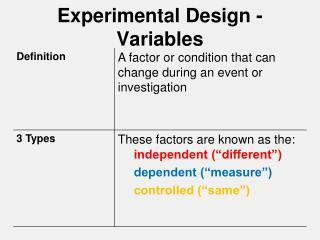 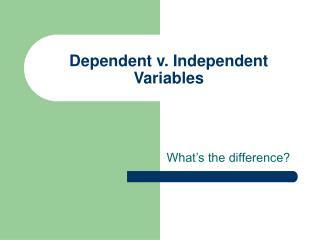 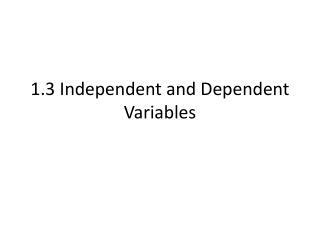 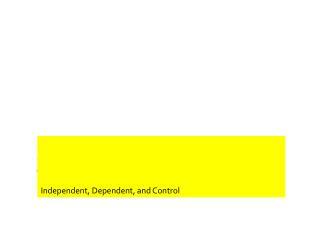 independent variable – something that is changed by the scientist.